You Will find in this topic the answers of CodyCross Farm Group 467, the game is developed by Fanatee Games and is splitted to many world which have 20 group each. Groups are also divided into many Puzzles ( exactly five ) and each one has many definition and clues lines which should be solved. We are here to help you progress, so keep reading. Join CodyCross, a friendly alien that has crash-landed on Earth and counts on your help to learn about our planet! Travel across space and time as you unveil our planet’s history and humanity’s accomplishments through themed puzzles in this challenging word game. 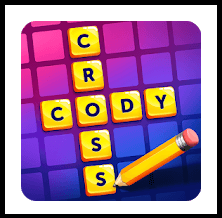 Solve crosswords and explore beautiful sceneries, use your knowledge and skills in a one-of-a-kind word game, where every correct answer takes you closer to completing the puzzle and revealing the secret word! If You have any comment, please do not hesitate to use the below form.